At the end of April, in the midst of one of the worst academic crunch periods I’ve ever experienced, I travelled to California to attend the IMMERSe Medievalism and Video Games Symposium in the small town of Davis. I spent most of my first day grading papers, but managed to escape my hotel room for a few hours to attend a joint reception and launch event for the GameCamp Game Jam, an initiative organized by Amanda Philips and Josef Nguyen from the ModLab at UC Davis, in partnership with a local game development club. The project consisted of a series of workshops and prototyping sessions, all of which culminated in a month-long game jam on the theme “I can’t breathe,” a reference to the rallying cry against police brutality and systemic racism adopted by black communities and activists after the murder of Eric Garner. It was a provocative choice, and I wonder now, in retrospect, how many of the participants were prepared to deal with the full weight of that phrase. I suppose I’ll have to play the games to find out. The symposium itself was spread over two days, the first of which was dedicated to the intersection of medieval studies and digital technologies. I wasn’t quite sure what to expect from this, having never attended a medieval studies conference before. Each presenter was given an hour and 45 minutes to present, including questions, and while that might have felt long in other contexts, the presenters were engaging and many of the issues raised, including the materiality of texts, mouvance (textual mobility/variability) in medieval and digital texts, the reprogramming of humans and human relations by information streams, the equation of technology and humanity, and the oscillation between modern enthusiasm and postmodern irony, were both relevant and accessible to those of us in the room who were not practiced medievalists. By far the most memorable discussion that emerged however, at least for me, was about the status of the humanities and the future of academia as a whole in the face of the neoliberal regimes of late capitalism. The discussion was prompted by a paper on zombies and MOOCs (massively open online courses) by William Kuskin, and Neil Randall’s response paper, which focused on the difficulty of attaining funding for humanities research and the constant need to justify everything in terms of direct economic impact. In other words, why is it so difficult to get the Harper government to give us money? A number of people pointed out that the type of value provided by the humanities was not something that could be quantified, nor could the experience of teaching and learning in a traditional humanities class be replaced by more cost-effective solutions like MOOCs. Many expressed fear about the difficulty of communicating the relevance of humanities research and teaching to parents (who want their kids to get jobs), students (who need jobs), administrators (who want to extract as much “productive” labour as possible from their staff for the least amount of money), and the broader public (who are told repeatedly that their lives are tied to the health of the “economy,” narrowly defined). Others suggested that it would be more effective to “learn to speak their language” by adopting the lingo and know-how of more highly favored fields to explain our work and prove that we can “do what they do,” and more. Only one person argued that we shouldn’t be so willing to adopt the limited measures of value provided by market ideology. Eventually, frustrated by the defensive stance that so many in the room were taking, I decided to raise my hand. I suggested that perhaps the problem wasn’t that the humanities were irrelevant, but that they were, at their best, too relevant, too critical, and too much of a threat to the established order that the government was set up to protect. It’s not that we weren’t providing any value, or that that value wasn’t recognized, but that it was valuable to the wrong people, for the wrong reasons, and was valuable in a way that might run counter to the interests of the financial, corporate, and political elite. Rather than trying to defend ourselves in the face of institutions and structures that are never going to recognize us in the way that we want to be recognized, we should instead be going on the offensive and reaching out to the people whose lives we directly affect—to students and local communities—and empowering them to push for alternatives. 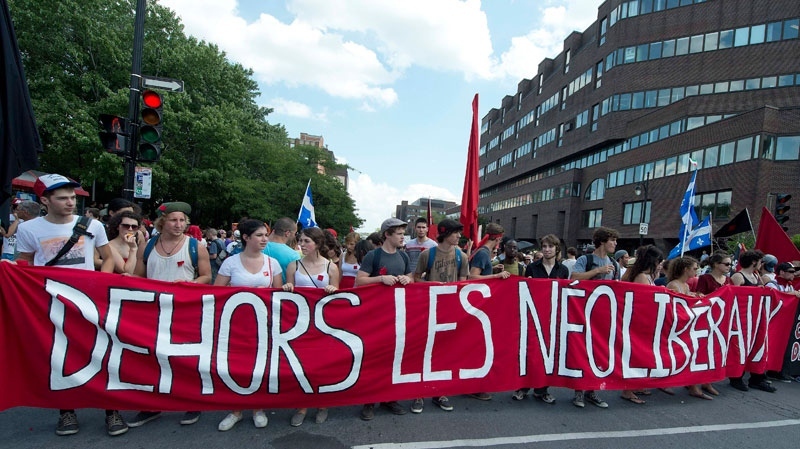 I argued that the student movements in Quebec were an example of what is possible when people are given the time, the space, and the tools to think critically about the world they inhabit. This is what happens when the humanities are allowed to thrive. Why would the Harper government, or any other reigning power, want more of that? A few people supported the idea that this defensive stance was getting us nowhere, and another student spoke up and stated, point blank, that from her point of view the humanities were already dead. Someone made the point that other fields and disciplines are struggling too, and that we shouldn’t assume we are the lone victims of austerity and privatization. I think as game scholars and students we may, to some extent, be sheltered from some of the worst realities of the neoliberal university (particularly in Quebec, where the game industry is booming and social support structures, thanks to a history of popular struggle, have still not been completely eroded). In June I attended the annual Canadian Game Studies Association (CGSA) Conference, along with a large number of other students and professors from the Mlab and TAG. Partway through we had a meet-and-greet for new members, and the room was completely packed. As the organizers noted, this was the largest CGSA to date, and the sense of excitement and congeniality as people discovered their peers, some possibly for the first time, was almost tangible. At the same time, given the current state of academia and of the game industry, I can’t help but wonder, “How long will this last”? How long will the boom years go on for, before the inevitable bust? What does it mean to be part of a growing field when the building is collapsing around us and the rugs are being pulled out from under our feet? Are we participating in a vast charade, trying to act as if we have long, productive, and fulfilling careers ahead of us when many if not all of us know that this is not the case? Earlier today I read a short blog post by Liz Morrish called “A Feminist Leaves Neoliberal U.” In it, she states “In the speeded up university, with its distorted constructions of academic ‘productivity’, schedules are crafted to eliminate the necessary practices of caretaking.” In response to this, and other concerns, many of the people who participate in and value this type of work are leaving. However getting out may not be an option for everyone, and as the author points out, those who remain are often left more isolated and vulnerable as a result of the exit of critical voices. Thus the support networks that are devalued and undermined on the one hand are becoming all the more necessary on the other. So what do we do? Do we abandon ship, or do we try to keep sailing and ignore the fact that people are being swept overboard on a regular basis? Do we count on existing institutions to save us, or do we search out new possibilities? 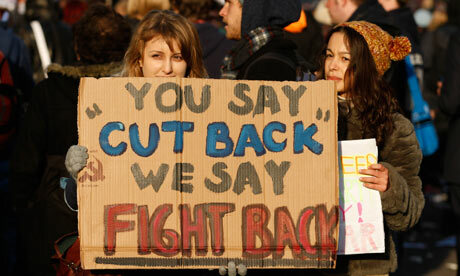 What would an alternative to the neoliberal university look like, and how do we get there? It's sad, but thoroughly predictable, that "liberal arts," "general studies," "humanities" and "contemporary civilization" have all morphed into third rate MOOCs. And it's time to reflect on the origins of the liberal arts to re-create their critical purpose in a rapidly deteriorating culture. Between rants on the decline of higher ed, the value of maker-space alternatives to high priced, low brained corporate peonage, and a dystopic view of education that mirrors financial, health, law, media, and political dystopia, it's time to think local, act positive, and build WTF we can as we anticipate the collapse of Western Values as those values produce more Russian and Chinese billionaires. Greed is not good, but the only alternative that's feasible is community. And liberal arts define community: interdisciplinary, task/project oriented, and team built. It's neither hard nor far from imagining bright kids and smart geezers recapturing the wisdom of ages. It's just no longer bound by campus boundaries, departmental hierarchies, nor collegiate convocations of antipathetic interests which is how we see the college of today. It's returned to a world of smart people helping other smart people to be smarter.